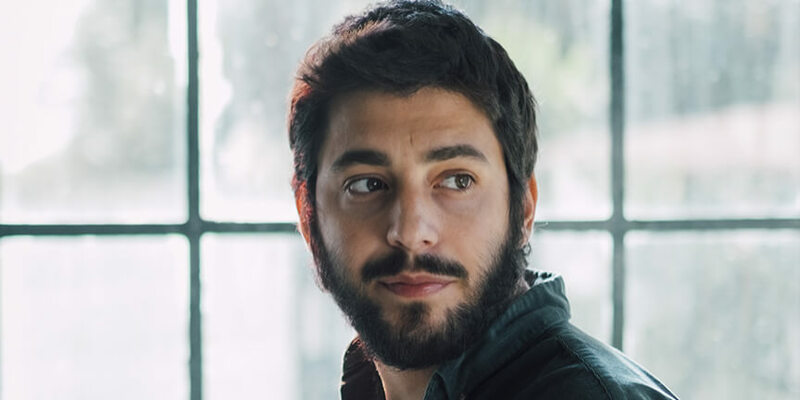 Salvador Sobral: "I am thankful to Eurovision"
In a new interview to promote his new album "Paris, Lisboa", Salvador Sobral claimed that he is no longer resentful towards Eurovision and even says he is "thankful" for what it brought to him. "Music is not fireworks" - part of Salvador Sobral's winning speech at the 2017 Eurovision Song Contest - must be one of the most shocking winning speeches of the past years in the show as usually winners take their time to thank everyone who voted, show signs of pure emotion and appear to be so thankful for everything. It wasn't the case with the "Amar Pelos Dois" singer as his words ended up being an overall critique to Eurovision itself. It seems that two years after, nonetheless, Salvador Sobral has changed his mind about the show and his whole experience. The singer - who is releasing his new album "Paris, Lisboa" this next Friday - is currently promoting this future work and has been asked about his Eurovision experience multiple times. – I am no longer resentful towards Eurovision. I am actually pretty thankful to what it brought to me. – Back then I was having a hard time dealing with fame because I was living the dark side of it. When I was at the hospital, I couldn't experience it the way I do today - I get to perform in Poland, Mozambique... Now that I am living the good things that Eurovision brought to me, I am very thankful to it. About Conan Osíris and "Telemóveis"
This year, Portugal is being represented by Conan Osíris - who shares little in common with Salvador Sobral - and his song "Telemóveis". – What they (Eurovision) want is something impactful... Something that is very different and that stands out and he has that! His song, the way he dresses... He has all it takes to win the competition. Portugal 2014: Suzy - "Quero Ser Tua"
Portugal has participated 50 times since 1964. It was a very bad start, as they managed to get Zero Points in the debuting year. Before Eurovision 2017 they have never won the contest, and never made the top-5. In fact Portugal held the record for most appearances in the contest without a win! But that changed in 2017, where Salvador Sobral won with "Amar Pelos Dois". Pedro comes from Lisbon, Portugal. He's 25 years old and graduated in journalism. He attended the Eurovision Song Contest live for the first time only in 2018 but his first Eurovision memory takes him back to 2007 when Sarbel delivered his catchy "Yassou Maria" performance. Pedro's favorite Eurovision song is Albania's 2015 "I'm Alive" by Elhaida Dani.